ARCHITECT’S GUIDE TO EWI STREAMLINES PROCESS FOR LANDLORDS. 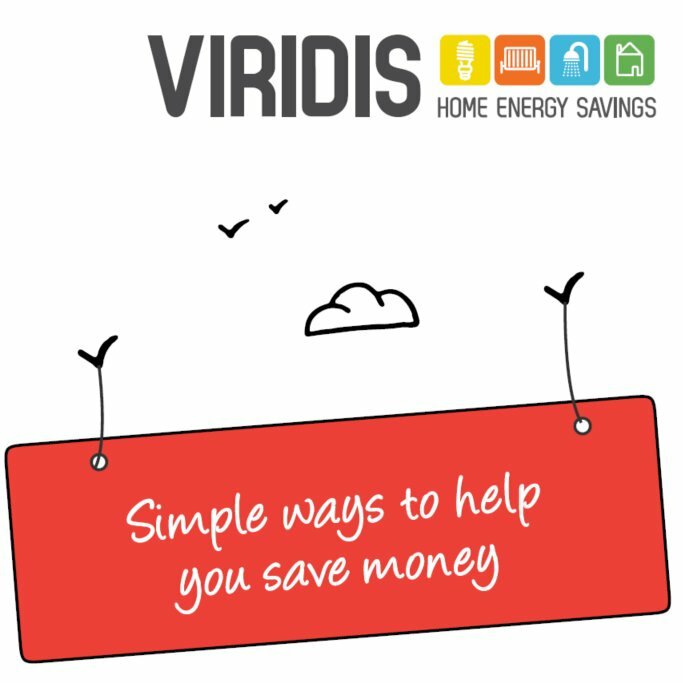 As a leading eco refurbishment architect we have produced an External Wall Insulation (EWI) guide to streamline the process for landlords looking to take advantage of the Energy Company Obligation (ECO) scheme. 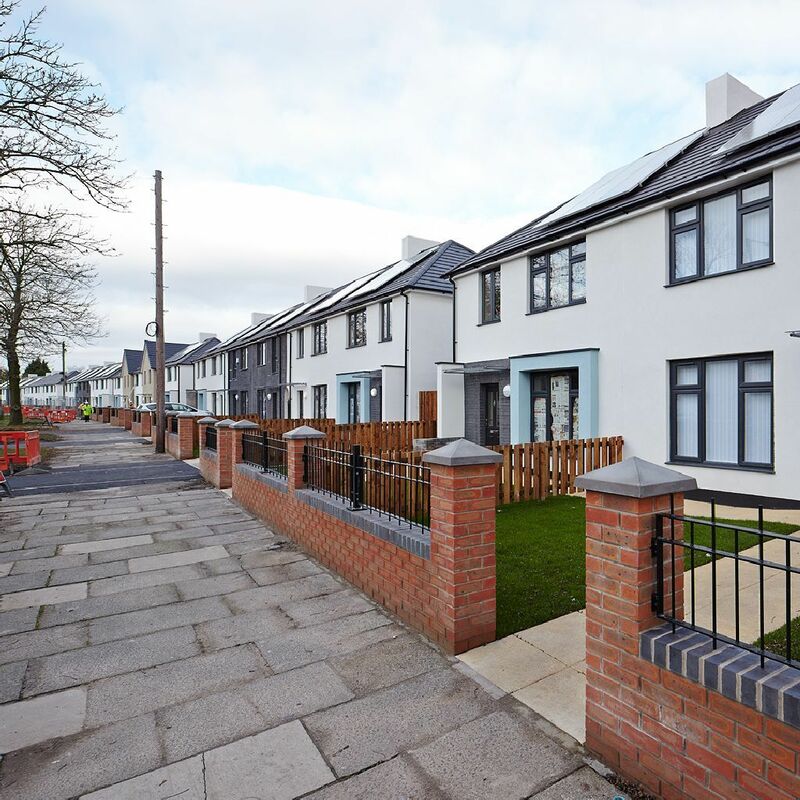 John McCall Architects produced the blueprint with social housing procurement organisation Fusion 21 on behalf of the Liverpool City Region’s green scheme, Project Viridis. The Guide can be downloaded Here. John McCall Architects has a long history leading sustainable refurbishment projects having designed the UK’s first eco-friendly homeless centre for Liverpool Mutual Homes and transformed Knowsley Housing Trust’s Wood Road estate into modern eco homes to name but two. The guide incorporates the practice’s experience of designing EWI schemes for housing associations, draws on the knowledge gained by contractors and shares advice garnered from working with a variety of local planning authorities. It also provides a checklist of technical and design issues to be considered before and after installation. Guarantees, the quality of finish, fixings and detailing and on-going maintenance regimes are all explained in detail. 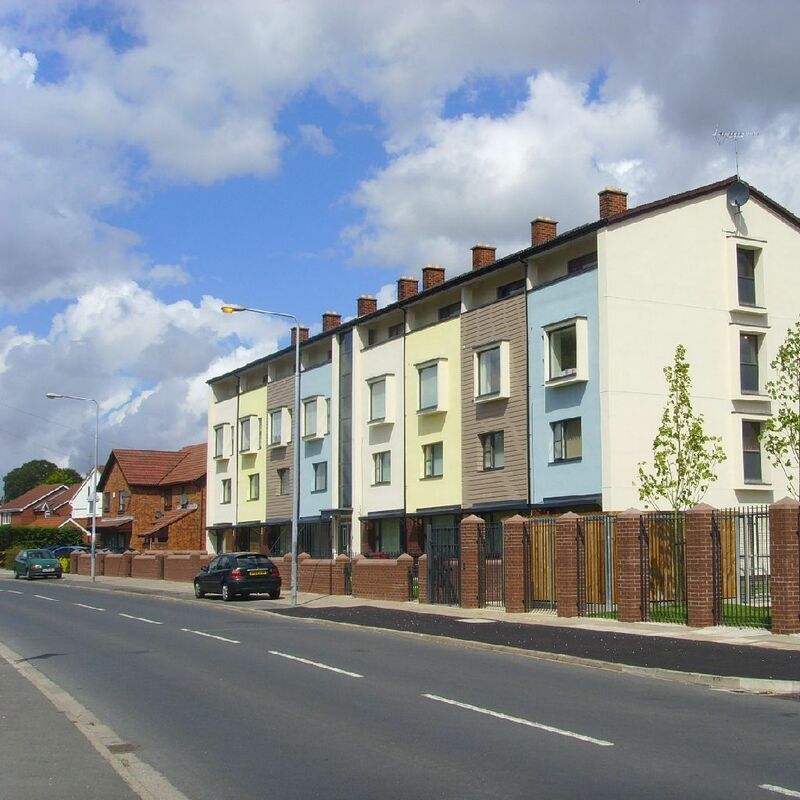 Guidance is given on how to best work with local authority planning and highway departments; issues that arise with schemes in Conservation Areas; changes to the character of homes; and, how to avoid townscape blandness when EWI is applied to large areas. Maggi Howard, Chair of Viridis and Director of Assets and Enterprise at Liverpool Mutual Homes, said: “Viridis partners commissioned John McCall Architects and Fusion 21 to write an EWI design guide following time consuming, inconsistent and expensive experiences obtaining planning permission to deliver EWI projects across the Liverpool City Region. “John McCall Architects worked with planning authorities to obtain their views and to ensure that projects that comply with the guidelines will proceed smoothly. “The Design Guide incorporates best practice and an approach to different forms of construction and detailing to help clients avoid known pitfalls that will reduce the effectiveness of the installation. John McCall Architects Director, Colin Usher, said: “The guide is vital reading for any landlord considering EWI especially given the opportunities available via the Energy Company Obligation scheme. “We have used our experience to provide a reference of key issues in order to best meet property owners’ objectives. A key element of John McCall Architects’ EWI blueprint is the guidance it gives towards the importance of the interpretation of planning applications by local authorities. “Planning consent is not always needed,” adds Colin Usher. 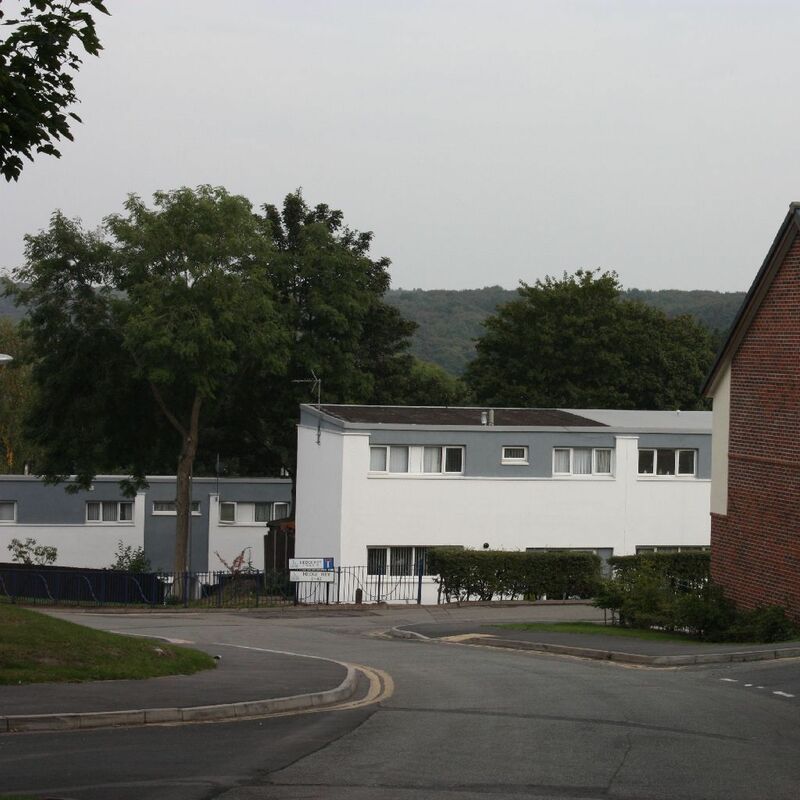 “It is vital the local authority is approached at the earliest stage as councils have different views and policies – some will demand a planning application is submitted while others deem it unnecessary. “The Planning General Development Order (February 2013 Update) implies that EWI application within the curtilage of the property does not require an application to be submitted as long as it does not ‘significantly’ alter the appearance of the building. John McCall Architects says the importance of design therefore is crucial in gaining planning permission and also making EWI schemes attractive. “A balance has to be struck between the affordability and desirability of designs but with careful planning and experience original aesthetics need not be lost behind a blanket of rendered EWI,” says Mr Usher. “As part of our study we have provided a guide to sympathetically applying the insulation to ensure the key features and character of properties are retained or enhanced. “Unfortunately we’ve seen examples where intricate features such as window tracery and lintels have been lost due to the poor execution of the work. “These are key features of many homes especially older, character properties which add significant value to neighbourhoods and should be saved for prosperity. “In other cases planning authorities have rejected schemes based on the impact the work will have on a home’s appearance. “Landlords need to pay careful attention to the colour and texture they choose especially when insulating homes to adjoining properties which aren’t being treated as the contrast can be stark and ugly. “Similarly, the work can be very technical. “To achieve the best outcomes, consideration needs to be given to junctions with other materials and elements such as gas, flues, electrics, drainage, air vents, eaves, heads and lintels, sills and entry points for telephone, satellite and alarms.